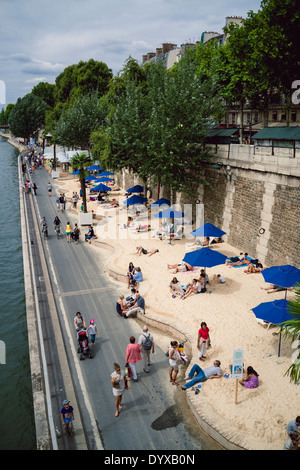 View of the artificial beaches set up by the Paris government during the summer period along the banks of the Seine river. 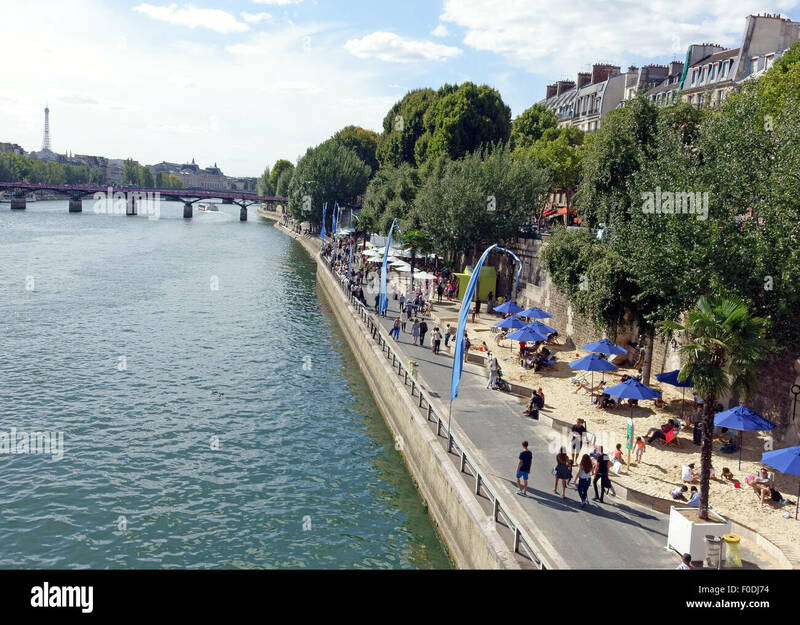 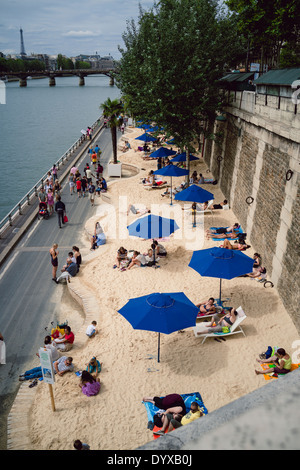 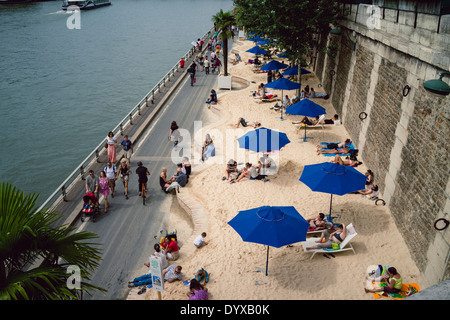 An artificial Beach set up along the Seine River in Paris, France. 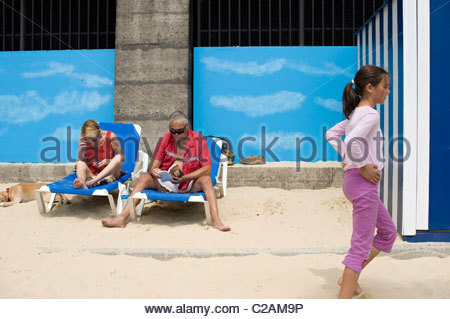 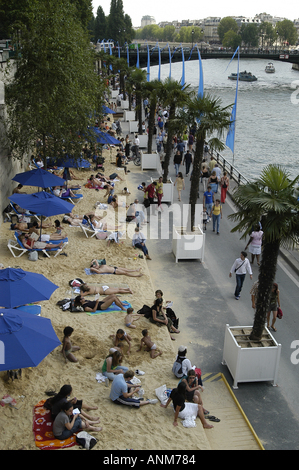 Paris Plage, annual summer beach fest along the banks of the Seine.